This simple little hooded cape has been a customer favorite for years. It works great with any costume. It is available in full-length (60" from shoulder seam to bottom hem) or half-length (30" from shoulder seam to bottom hem). It is available in cotton or satin. 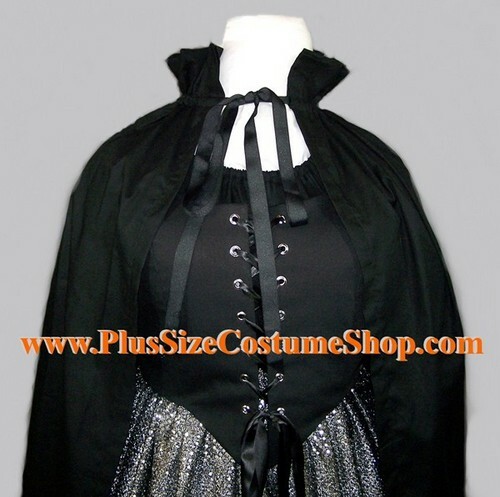 This simple little cape has a great Halloween gothic feel to it because of the neat stand-up collar. It gives it so much flair. 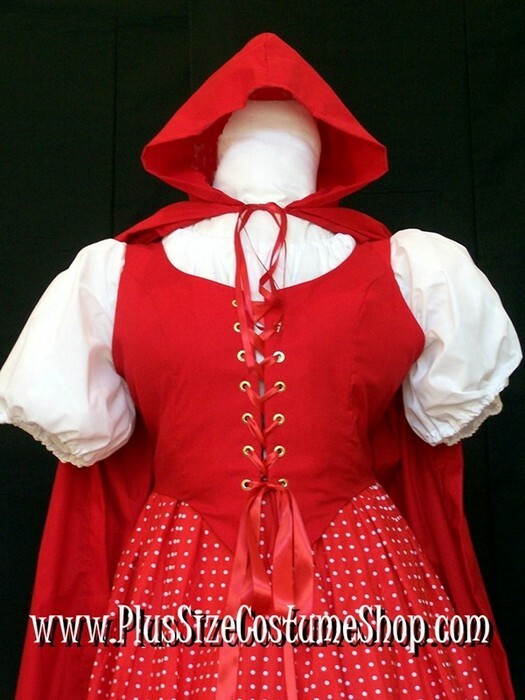 It works great with witch and vampire costumes, but can be used with any type of costume. It is available in full-length (60" from shoulder seam to bottom hem) or half-length (30" from shoulder seam to bottom hem). It is available in cotton or satin.